In his first novel, Ted Pittman weaves a tale about life, technology and ESP from New York to Europe and beyond. Nate LaChae grew up in a tough, nurturing, home in New York City. He learned to survive the city streets and successfully compete in technical areas. While in High School, his experiments revealed talents that amaze his fellow students and teachers. Scarred by a tragic marriage and breakup, he begins an odyssey of relationships and jobs where the love and success he craves eludes him repeatedly. Spurred on by his dream of inventing a gravity engine, Nate seeks employment with companies that have the tools and equipment he needs for his projects. He works in many European countries and makes friends everywhere he goes. During one three-year stint outside the U.S., he meets an inventor who has independently duplicated experiments Nate conducted years before. This reignites Nate’s determination to perfect his own engine. Returning to the U.S.A. Nate attempts to reconnect with his children and fulfill his dream of climbing to the top of The Monkey Bars of Life. 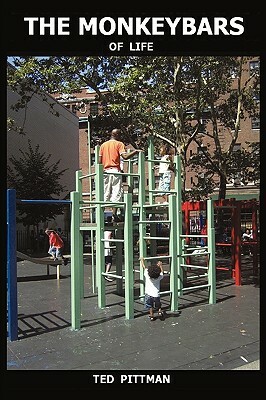 Tell us what do you think about The Monkeybars Of Life.